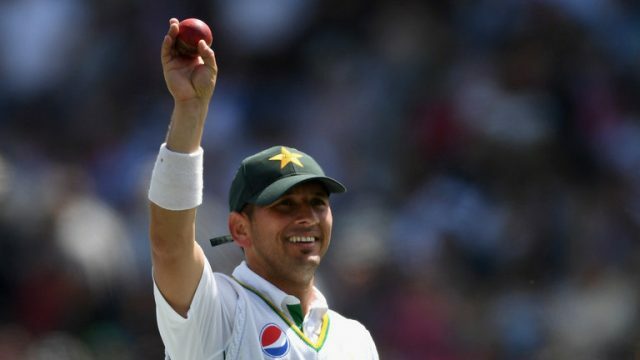 Pakistani cricketer Yasir Shah picked up yet another record as he became the fastest bowler in the world who take 200 wickets in the Test format of the cricket. Yasir Shah, the leg-spinner achieved the milestone during the ongoing third and final Test match against New Zealand in Abu Dhabi. Yasir Shah, currently playing his 33rd Test, now leads the list after usurping Australia’s Clarrie Grimmet, who reached the 200-wicket mark in 36 matches. Indian off-spinner Ravichandran Ashwin is at the third position on the list with 37 Test matches whereas Australian great Dennis Lillee and Pakistan legend Waqar Younis share fourth place having taken 200 Test wickets in 38 Test matches each. Yasir has proven to be a stalwart in the spin bowling department of the sub-continent side and was instrumental in his side’s series-levelling win in the second clash.